Why US President Obama keeps Hindu God Hanuman totem in pocket? Find Out! U. S. President revealed the insides of his pocket. And a small statue of Hindu god Hanuman was one of the few totems that he carries in his pocket all the time, posted by Cape Code News on Youtube. Lord Hanuman is a Hindu deity and devotee of Lord Rama. In Epic Ramayana, he participated in Rama’s war against the demon king Ravana. He is also presented as the incarnation of Lord Shiva in several texts. The totems which Obama carries includes- rosary beads which Pope Francis gave him during his visit to the US in 2015; a tiny Buddha idol which was given by a monk; a silver poker chip that was once a lucky charm of a mustachioed biker in Iowa; and a small statue of Lord Hanuman, according to the CNN reports. But he admitted that he find solace in the totems. “If I feel tired, or I feel discouraged sometimes, I can kind of reach into my pocket and say yeah, that’s something I can overcome, because somebody gave me the privilege to work on these issues that are going to affect them,” he said. 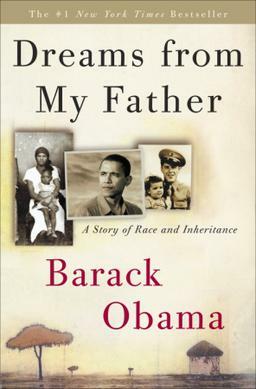 Obama, whose mother was a white woman from Kansas and had a father was Kenyan, spent his childhood in Indonesia where Hinduism is a popular religion. During his visit to India later this year, in 2016, President Obama showed a Hanuman’s idol to LK Advani’s daughter, Pratibha when she asked about his devotion towards the Hindu god at Rashtrapati Bhavan on Republic day. Then, he delved in his pocket and took out a 4cm Hanuman’s statue that startled everyone. In 200, the Economic Times reported that Obama the first-ever Black-American representative of a major US party for Presidential elections always keeps a gambler’s lucky chit, a bracelet belonging to an American soldier deployed in Iraq, a tiny monkey god and tiny Madonna and child.